DNA, evolution, Jim Holt, Lewis Thomas, Why Does The World Exist? What are the odds of your existence? Never wondered? Neither have I. But then I read this, which I am about to share with you, and now I must wonder why I never wondered! As a member of the human species, I have a particular genetic identity. 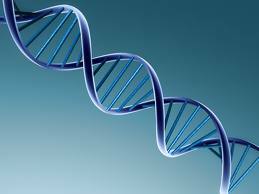 There are about 30,000 active genes in the human genome. Each of these genes has a least two variants, or “alleles.” So the number of genetically distinct identifies the genome can encode is at least 2 raised to the thirty-thousandth power–which roughly equals the number 1 followed by 10,000 zeros. That’s the number of potential people allowed by the structure of our DNA. And how many of those potential people have actually existed? It is estimated that about 40 billion humans have been born since the emergence of our species. Let’s round the number up to 100 billion, just to be on the conservative side. This means that the fraction of genetically possible humans who have been born is less than 0.00000…0001 (insert about 9,979 extra zeros in the gap.) The overwhelming majority of these genetically possible humans are unborn specters. Such is the fantastic lottery that I–and you–had to win in order to shimmer on the scene. Every once in a while the reasons for discouragement about the human prospect pile up so high that it becomes difficult to see the way ahead, and it is then a great blessing to have one conspicuous and irrefutable good thing to think about ourselves something solid enough to step onto and look beyond the pile. Friends, if you should ever feel this way, ever entertain this degree of “discouragement about the human prospect,” I invite you to read the paragraph above from Jim Holt. We won the lottery. For this we must step up and rejoice.